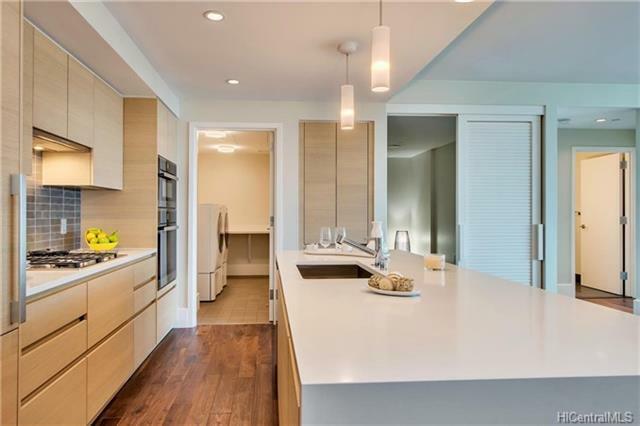 Anaha at 1108 Auahi Street opened its doors in October. 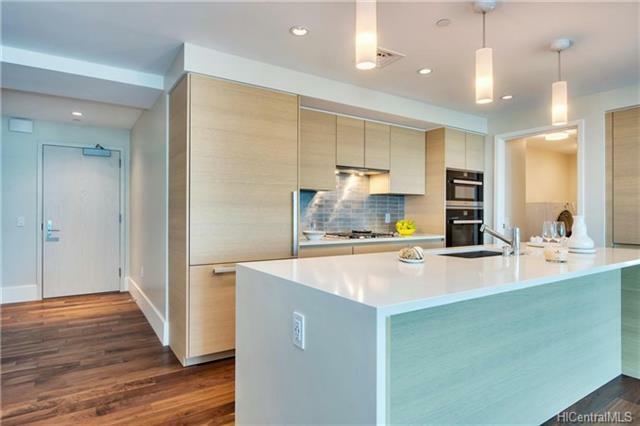 Located within walking distance of Kewalo Basin Harbor, Ala Moana Beach Park, Ala Moana Shopping Center, and across the street from Whole Foods Market, Anaha is the newest luxury condominium in the coastal community of Ward Village. The Anaha boasts a distinctive architecture building design, a one-acre amenities deck, and concierge services. 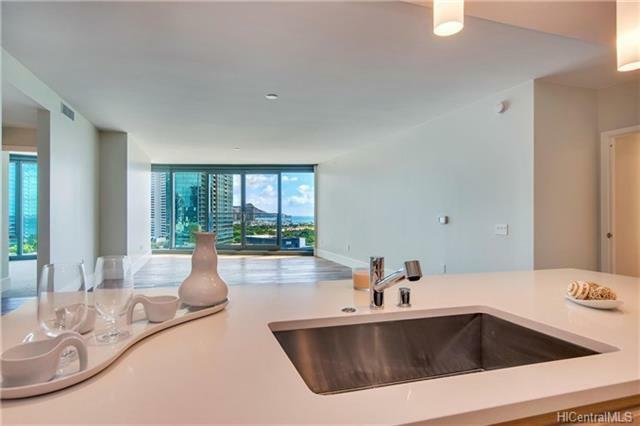 This is a 2 bedroom/2 bath, plus a den, 1,691 SQFT residence situated on the preferred Diamond Head side of the building with fabulous views. 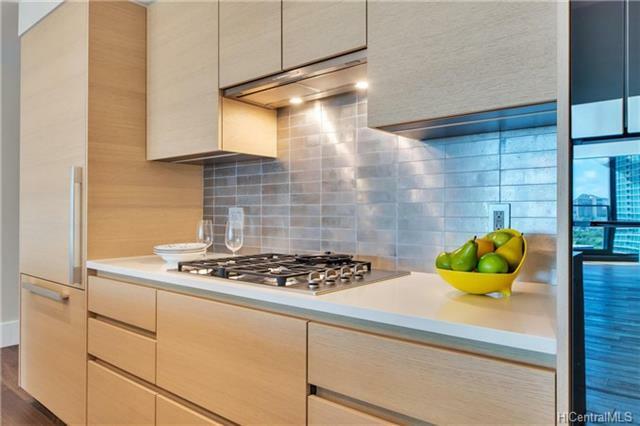 The residence features 9 foot ceiling and a complete suite of Miele appliances.